Saint Isidore the Farmer (San Isidro Labrador) was a day laborer known for his piety toward the poor and animals. 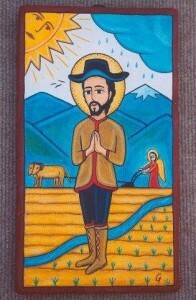 He is the patron saint of farmers and the harvest. The story of St. Isidore is a reminder of the dignity of work, and that ordinary life can lead to holiness. Legends about angel helpers and mysterious oxen appearing while St. Isidore prayed indicate that his work was not neglected and his duties did not go unfulfilled. St. Isidore’s life demonstrates that if you have your spiritual self in order, your earthly commitments will fall into order also. 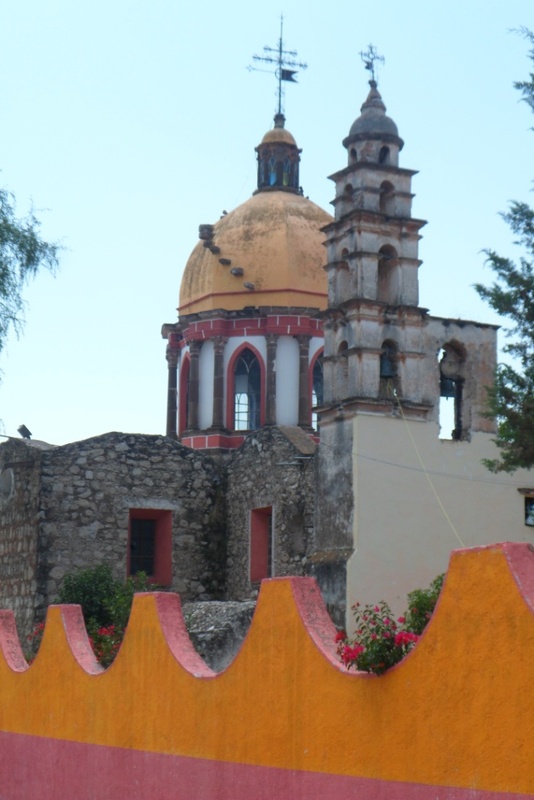 His statue is in the Parroquia and a small village outside of San Miguel is named for him with a chapel that is part of the Indian Chapel route. The murals on the chapel walls and the vaulted ceiling have been restored revealing an army of angels. In the small courtyard prayers of permission in the Otomí language precede weddings and religious festivals to this day. Saint Isidore is wildly popular in Mexico and you are likely to wake up to early morning on May 15th to fireworks announcing his special day. Parades and celebrations feature images of bulls including piñatas. Also fruit, that has now come to be harvested, is featured including apples, pears, apricots, grapes and citruses. Isidore was declared a Saint on the same day as the popular Spanish saints St. Phillip Neri and St. Teresa of Avilla whose images can found in most any local church.